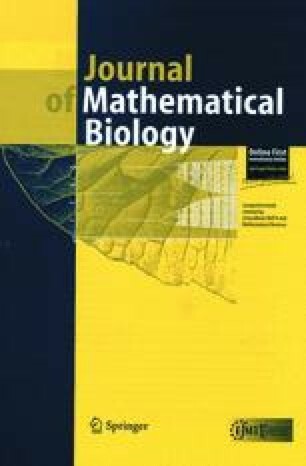 Recent work on mutation-selection models has revealed that, under specific assumptions on the fitness function and the mutation rates, asymptotic estimates for the leading eigenvalue of the mutation-reproduction matrix may be obtained through a low-dimensional maximum principle in the limit N→∞ (where N, or N d with d≥1, is proportional to the number of types). In order to extend this variational principle to a larger class of models, we consider here a family of reversible matrices of asymptotic dimension N d and identify conditions under which the high-dimensional Rayleigh-Ritz variational problem may be reduced to a low-dimensional one that yields the leading eigenvalue up to an error term of order 1/N. For a large class of mutation-selection models, this implies estimates for the mean fitness, as well as a concentration result for the ancestral distribution of types. Acknowledgement Support and hospitality of the Erwin Schrödinger International Institute for Mathematical Physics in Vienna, where this work was initiated and partly carried out, is gratefully acknowledged. A.B. also thanks the German Research Council (DFG) for partial support in the Dutch-German Bilateral Research Group “Mathematics of random Spatial Models from Physics and Biology”. It is our pleasure to thank T. Garske and P. Blanchard for helpful discussions, and R. Bürger and an anonymous referee for reading the manuscript very carefully and providing valuable suggestions for improvement.